Washrooms in offices and other workplace environments can be an important experience for users, from customers to employees. Franke’s Miranit washbasins are both robust and aesthetically pleasing to cater for all visitors. 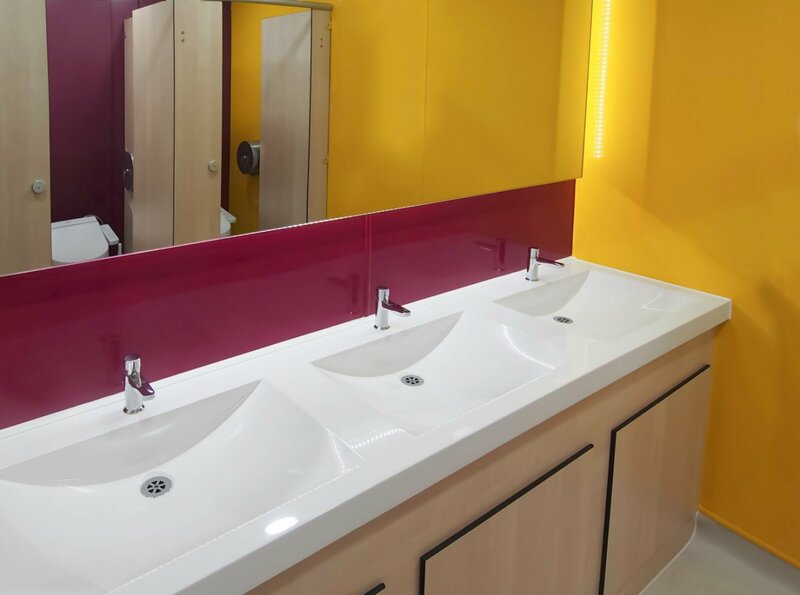 The refurbishment consisted of three large washrooms and Miranit was a perfect choice as the unique composite material is made of shatter-proof; resin-bonded mineral granite is exceptionally well suited for providing a modern, aesthetic design for sanitary rooms. 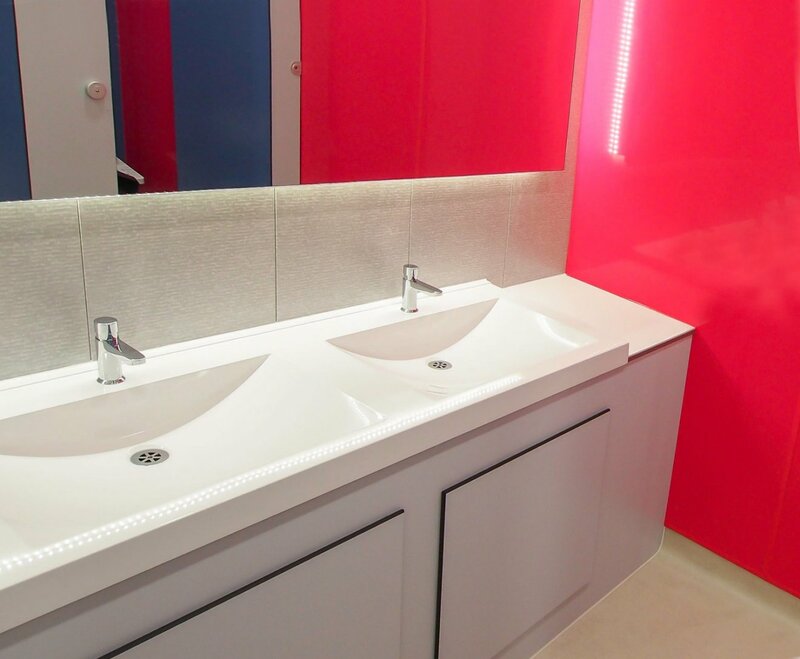 The refurbishment was completely by Flush Washrooms, Chris Kightley, Project Manager commented "Franke always deliver the highest quality of products and this was a key factor for this project. As well as quality their range of Miranit is highly stylish and fits perfectly in almost any washroom environment."